Original. Another drawing, fourth, in series inspired from 16C Barocci. 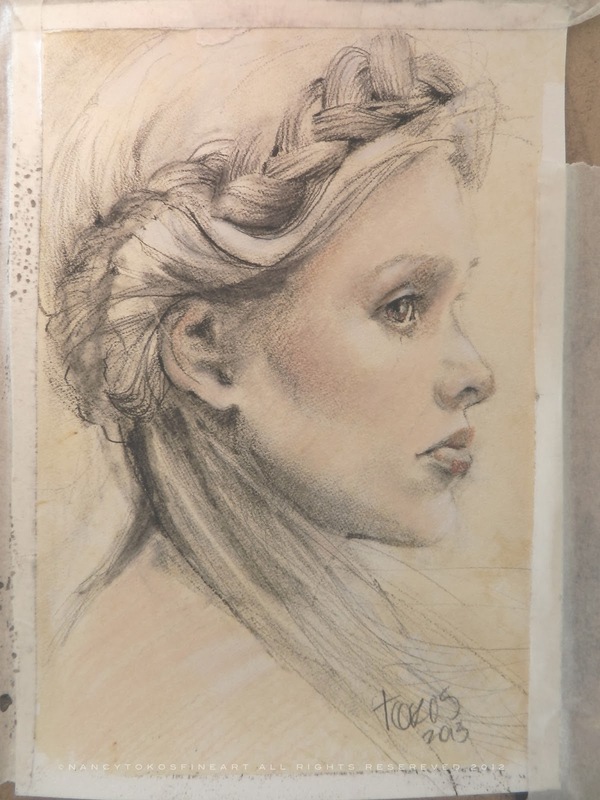 Pencil and conte crayon on 400 lb. Bristol board. White highlights. The paper has been stained with watercolor and lends to a nice antique appearance. Measuring 7"x5", it is perfect for a nightstand. If you do not see what you need, be sure to contact us for a custom painting. This has been one of my more popular portrait requests.